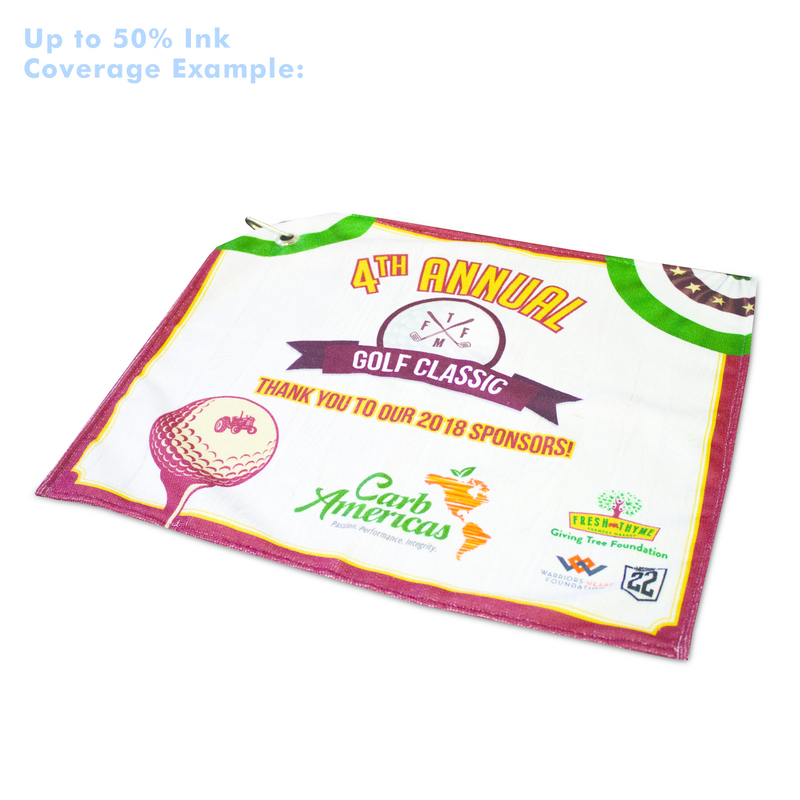 Get maximum brand exposure with this dye-sublimated golf towel! 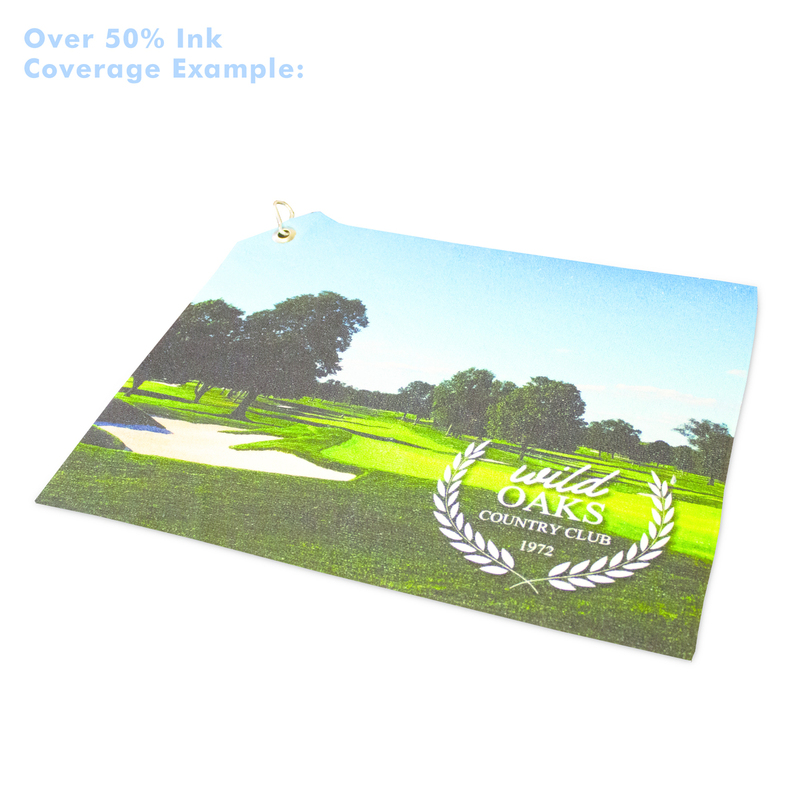 Feature tournament logos, photographs of the course, a signature hole, charity, memorial, anything your client wants on the edge to edge 270 sq. inches of branding space spanning the entire front of the towel. 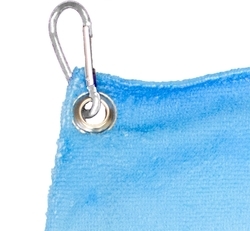 This soft golf towel features a carabiner and grommet (additional fees apply), making it easy to attach to a golf or gym bag. 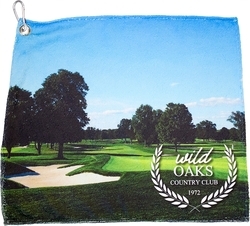 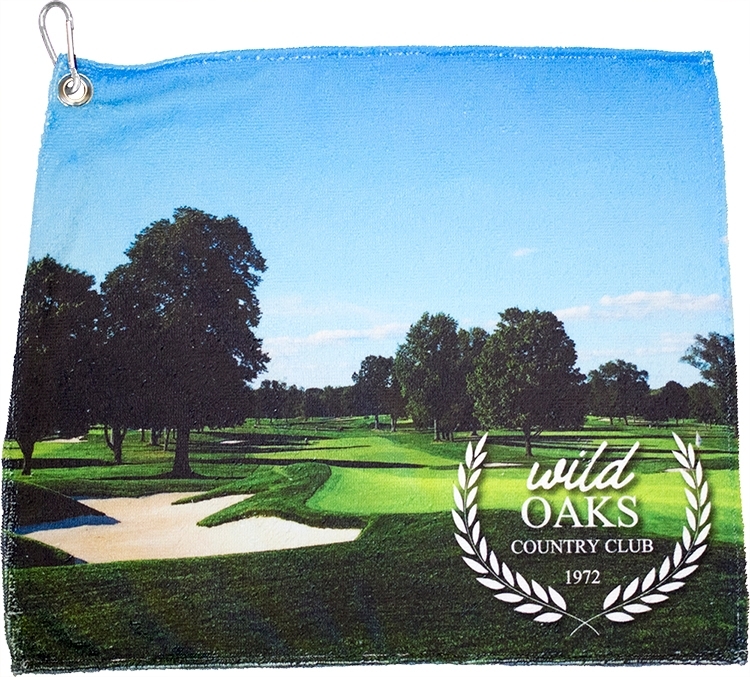 Perfect for all golf tournaments, charity events, resorts, country clubs, or as a gift or prize. We are currently running a Next Quantity Pricing promotion. Please contact us if you are wanting this price discount before it's gone.